Posted March 27, 2019 by Seán Kinane & filed under Middle East, News and Public Affairs. The largest pro-Israel lobbying group held its annual conference this week. Several Democratic candidates for president promised to skip the meeting of AIPAC, or the American Israel Public Affairs Committee, because of its support for the policies of Israel and its current hard-right government. The local Progressive Democrats of America chapter is screening a documentary film this weekend that is critical of how the American news media limits the conversation on the issue of Israel and Palestine — and how groups like AIPAC are responsible. WMNF interviewed Michael Fox, the Florida state coordinator with Progressive Democrats of America (PDA). What’s the role of the lobbying group AIPAC in that discussion? Recently, new Minnesota Congress member Ilhan Omar got into some hot water and was even called anti-Semitic for suggesting what you’re saying this film is proposing: that lobbying groups, like AIPAC — it’s ‘all about the Benjamins’ — they have a lot of money and they can influence American politicians. “Oh, most definitely. And that’s a core thesis within the film. That the classic response is: anytime you disagree with the nation of Israel’s policies you’re immediately ‘anti-Semitic.’ And that’s just wrong. It’s not anti-Semitic to not be in lockstep with the policy of – arguably the militaristic state of Israel. Especially when you consider those policies promote at minimum Apartheid South Africa (conditions) for many of the Palestinians. What are the details of this film? When will it be shown and where? “It’s going to be shown Saturday from 7:00 to 9:00 p.m. at the Seminole Heights Library at 4711 [North] Central Avenue, Tampa, Florida 33603. 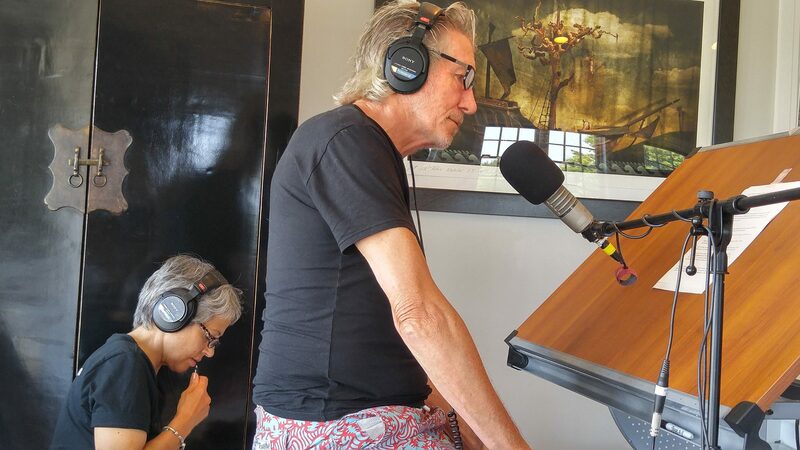 It’s narrated by human rights activist and Pink Floyd co-founder Roger Waters and features interview with Noam Chomsky, Phyllis Bennis and others.